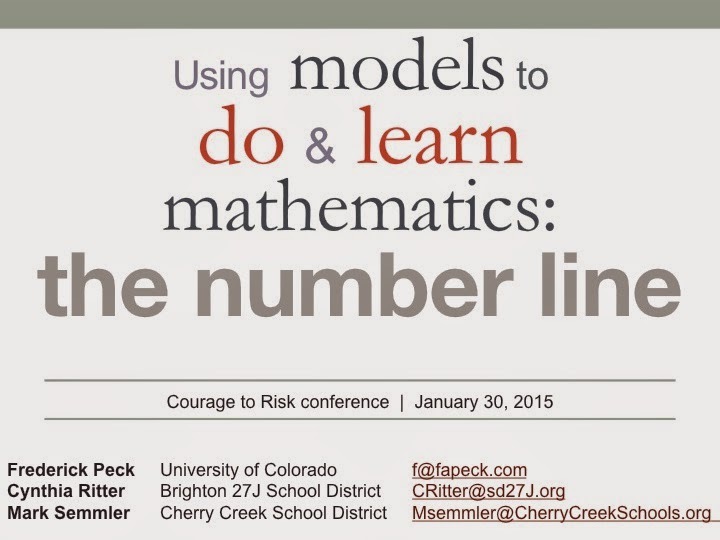 At the Courage to Risk 2015 conference, Mark Semmler, Cindy Ritter and I gave three talks about how models help students do and learn mathematics. CTR is a conference for special education professionals. 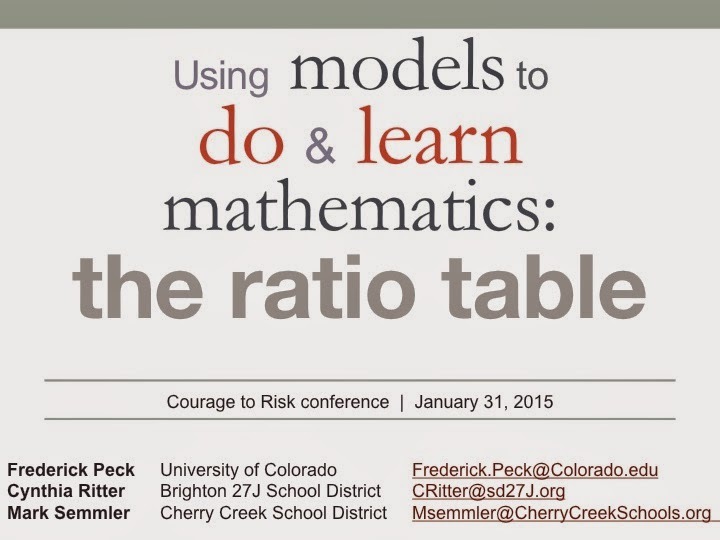 These presentations are designed to be practical, and they link research in special education to research in math education to real student work and classroom ideas. 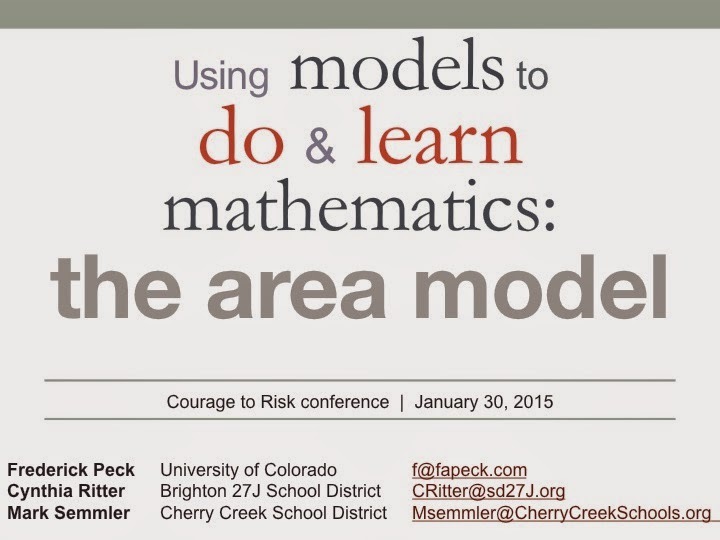 Each presentation discusses a specific model, and then shows how that model evolves from elementary to middle to high school, with examples from each level.